JOHN LAMPKIN BOND, son of, MARION BOND and MARIA CRAWFORD, was born October 22, 1862, and died November 07, 1938 Bur in Paramount Cem Stone County, MS. He married (1) ARKANA(ANGIE) TAYLOR. She was born March 01, 1864, and died December 24, 1916 in Bur in Taylor Cem, Stone County MS. He married (2) ELLEN SINCLAIR. 2. MARY ARZONA BOND, 1887-1938, married, VOLNEY E ONEAL. 3. ARKANA BOND HATTEN. ( Cannie )born, 17 Oct 1898, married, EMERSON D HATTEN. 4. COLONA M. BOND, born, Oct 23 1889, died, July 1972 married, J.LENORD BRELAND. 6. ARTHUR M. BOND, b. 1894; d. 1899, Buried in Taylor Cem, Stone County MS.
7. FRANK BOND. born, 5 Aug 1905, died, 2 April 1986 married, MAMIE HATTEN. 8. NELLIE MARCELLA BOND. 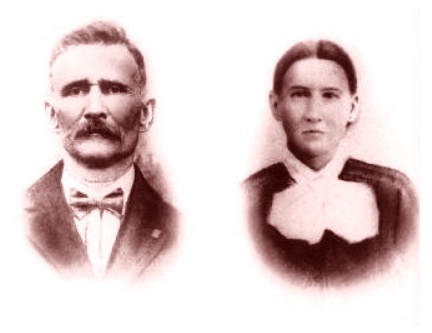 1896 - 1951, married, DANIEL DECATOR TAYLOR. 9. LOTTIE LEOTA BOND. born, April 24 1908, died, Mar 09 1992 married (1st) LESTER WILLIAMS. (2nd) LEE MORRISON. ACKNOWLEDGEMENTS: To KENNY HATTEN, EARL K BOND, ERSEL ONEAL STEWART.